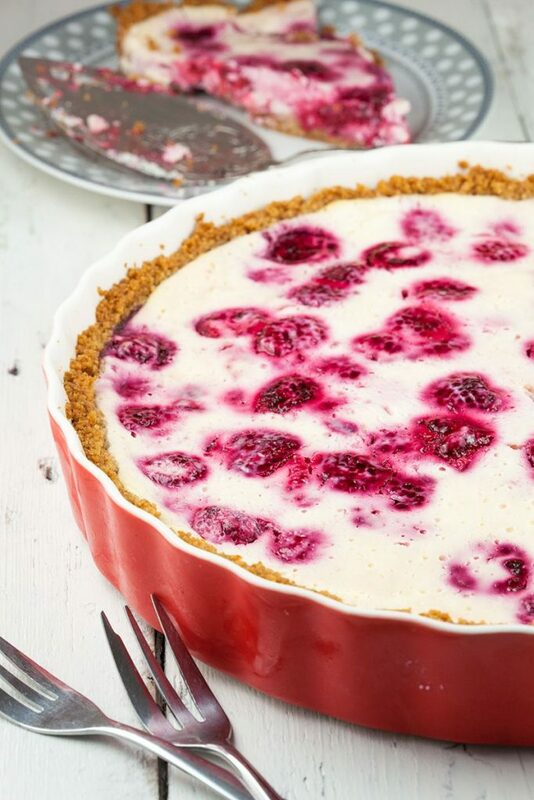 Perfectly balanced raspberry quark pie, semi sweet and yet the sourness of raspberries. Don't you just love raspberries? Yes, summertime has arrived! MELT butter in a small saucepan and let it cool off slightly. Meanwhile create very fine graham crackers for the pie crust. You can use a food processor for this or add them to a ziplock bag and crush them with a rolling-pin. COMBINE melted butter and graham crackers crumbs. COAT the pie dish with butter and use your hands to create a pie crust. PLACE the pie crust in the fridge until the filling is ready. 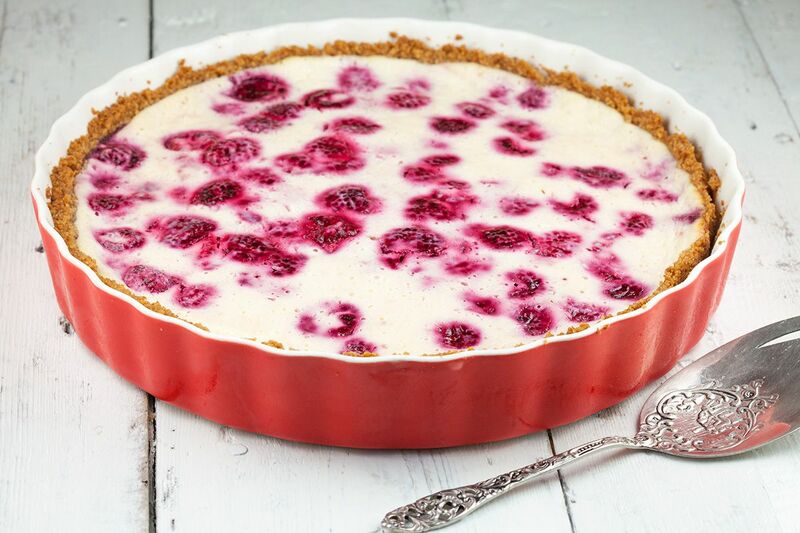 COMBINE quark, sugar, salt, vanilla extract and eggs until you’ve reached a smooth mixture. 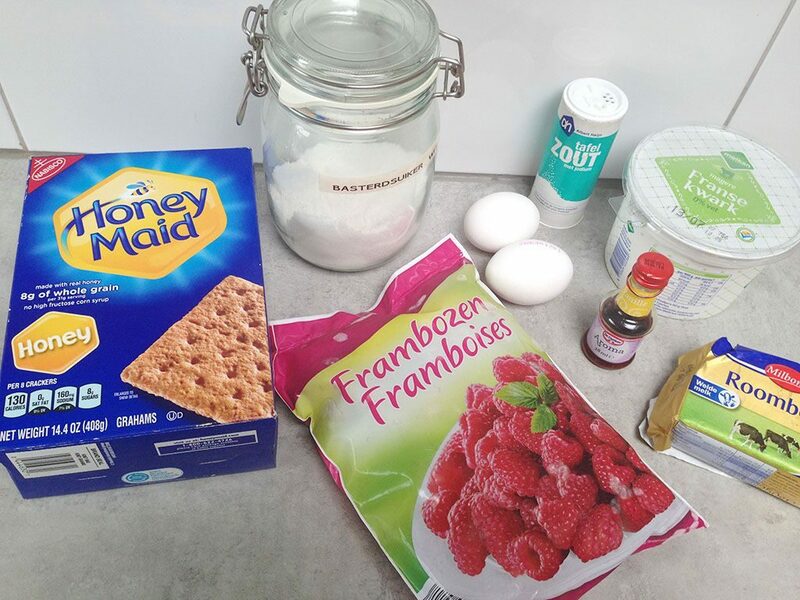 ADD the raspberries and carefully fold them into the quark mixture using a silicone spatula. 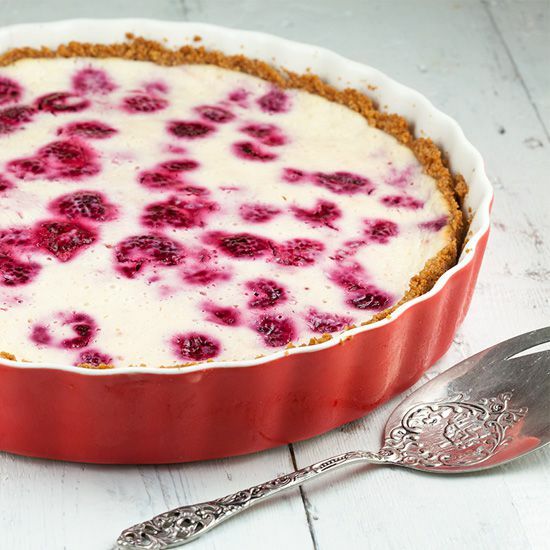 POUR the quark and raspberry mixture in the prepared pie dish, make sure it’s evenly divided. BAKE the pie in the oven for about 30 minutes, or until set enough depending on your oven. It’s ok if it’s not totally set in the middle, during cooling the quark mixture will become more firm as well. Let the pie cool off completely in the fridge and enjoy!